protected his people from various invasions. Its gallant figure cut in the mountain receives inhabitants and travelers, in his honor the pyramid of the Tepozteco was constructed and is known like Ometochtli-Tepoztécatl, the one of the iron ax. This magical town of Morelos offers many amazing experiences. Enjoy its gastronomy, which goes from the popular market, to ponches, and typical restarurants to the exquisite cuisine at Mesa de Origen restaurant in Amomoxtli. 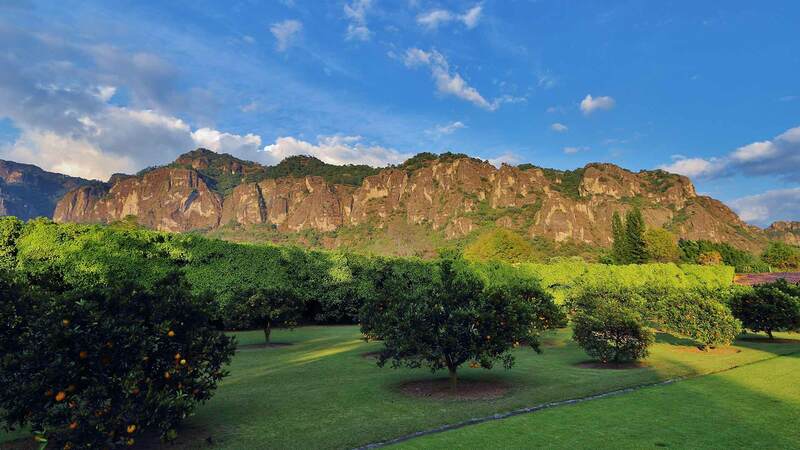 Discover the incredible nature of El Tepozteco National Park, with trekking paths, a zip line, bike or horseback riding, rappelling and hiking through the natural tunnels in the Chichinautzin mountain range. 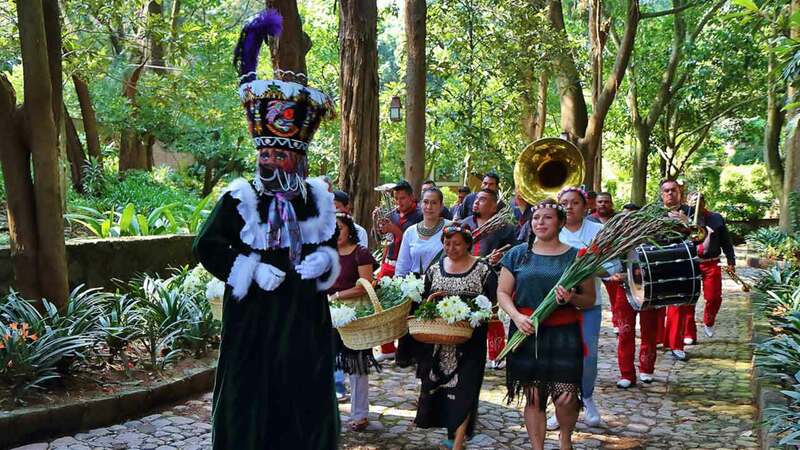 Tepoztlán has been populated since at least 1,500 years before Christ and later, by Xochimilca, Tolteca and Chichimeca cultures. The Spaniards built one of the most beautiful convents in the center of the country, ruled by Dominican friars and later Franciscans. Tepoztlan is a sacred site. Its vital energy is born of the earth, its minerals and the magnitude of its mountains. Tepoztlan is a meeting point for healers, spiritual guides and even for the sighting of UFOs. Therefore, taking a Temazcal or a mind-body treatment in this place has great physical and emotional benefits.